Yea hosted the Dalhousie Vets president’s Cup on Thursday. 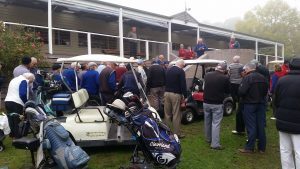 Their were 80 golfers participating in the 3 person Ambrose Event. Despite the early fog conditions were good with many compliments from visitors on the course condition. Winners from Seymour were Phil Jarvis and friends with a nett 57 (63 off the stick). 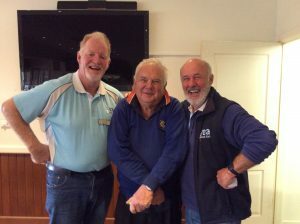 Runnera-Up with a nett 59 2/3 (69 stick) were Yea members of Bruce Kindred, Russell Wealands and Alan Pell. The Club received close to $1400 from the day thru golf fees, bar and raffle, before expenses. Many thanks to Mary-fran, Lorraine, Sue and Myrna in the kitchen, as well as Jeff Aurisch with the paper work, who worked tirelessly.